As the year winds down, it’s a good time to reflect on what you’ve accomplished and learned as a leader and what you’d like to focus on for the coming year. Creating an Individual Development Plan (IDP) is a great way to capture those actions and increases your chances of keeping your commitments to yourself. 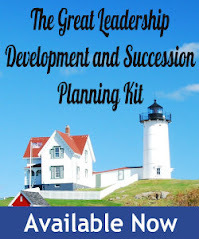 Senior leaders often hire executive coaches to help them create their development plan. A good coach has the ability to ask just the right question at the right time in order to create insight and inspiration to change. However, a good executive coach doesn’t come cheap. When you are ready, take out a piece of paper and a pen, or a tablet for you techies, and answer each one of the following questions. Managers, once you’ve created your own plan, use the questions to coach your employees to create their plans. 1. Why are you interested in developing your leadership skills? 2. How is becoming a better leader going to help you achieve the results you are trying to achieve? 3. What’s motivating you? Are you challenged in your current role? Do you have aspirations for a new role? If it’s just to be a better leader in your current role, why is this important to you and what do you hope to achieve? 4. How inspired and committed are you to changing? 5. What does great leadership look like to you? 6. Who is a role model leader for you and why? What do they do? 7. What leadership competencies (skills, knowledge, attributes) are important to your organization, for your current role, and/or for the role you aspire to? Why? 8. How do you stack up against these competencies? If you don’t know or are not sure, how can you get feedback? 9. What are your greatest strengths as a leader and why? 10. What are your greatest opportunities for improvement as a leader, and why? 11. What are the three areas (strengths or opportunities) you are committed to work on that if improved, will have the biggest impact on your desired results? Why? 12. Is your current role the best opportunity to develop these three areas? If not, are you ready to consider a new role? If so, what would it be? Why? 13. What will you do, and who should you talk to further explore this possible change? 14. What are some challenging assignments or projects, both on the job and outside of work that would give you an opportunity to learn and apply these new competencies? 15. Who’s really good at any one (or all) of those things? How can you approach them to ask for their advice? 16. Who can you meet with on a regular basis to get further advice and/or support? You manager, a mentor, a coach? 17. How can you find a good course, a book, articles, websites, blogs, podcasts, and other learning resources related to your learning goals? 18. What’s your action plan? Who’s going to do what, and by when? 19. What resources and support do you need to achieve your goals? 20. How will you share your plan with your manager? What support do you need from your manager? 21. In order to hold yourself accountable and gain additional support, who else will you share your plan with and how? 22. How will you ensure you do what you say you were going to do? 23. What roadblocks do you expect or need to plan for? What are some ways to overcome them? 24. On a scale of 1-10, how committed are you to your plan? If anything less than a 10, why? What would you need to change to make it a 10? 25. What will you do to ensure those new learnings become a regular part of who you are and how you think and behave and a leader? Side note: It was an interesting challenge to limit myself to only asking questions, and to use as many open-ended questions as possible. I have to admit, I’m more of a “teller” than an “asker”. Try it sometime, as a way to explain something you think you know a lot about to someone. It will challenge your ability as a coach. Thanks Dan this is a great checklist for anyone to start thinking about their IDP. And it can be adapted to focus on other skills than leadership if relevant. I'll use it with my team! Thanks. Great, I'm glad you'll be able to adapt it and use it with your team. Thanks. Often with coachng, there is no "right" answer, it's whatever the person comes up with. A perfect list of reflective questions timed perfectly at the end of the year. I'm going to answer a few each day until year end. Thanks! Fantastic list! To me, #24 cuts right to the heart of it - nothing will change without deep, visceral commitment. Thanks, sounds like a sensible approach. Thanks! Agree - it starts and ends with commitment. This is the perfect list which shows us how much skills we have and how much we have to learn about this more? Great post! Intriguing questions indeed! If I may add, Agile Leadership is something we are experiencing more and more everyday especially with the fast pace of technological advancement. Worth we ask ourselves how agile or how far agile we would go in our leadership spectrum? Thanks, a question worth pondering, although like some of mine, it might need some further explanation.